1. 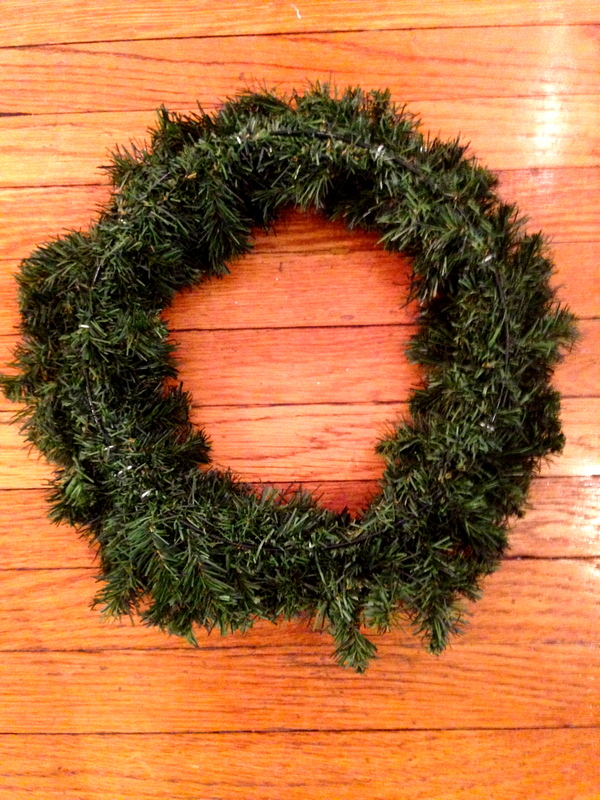 Purchase a wreath from your local craft store. Ours is artificial. 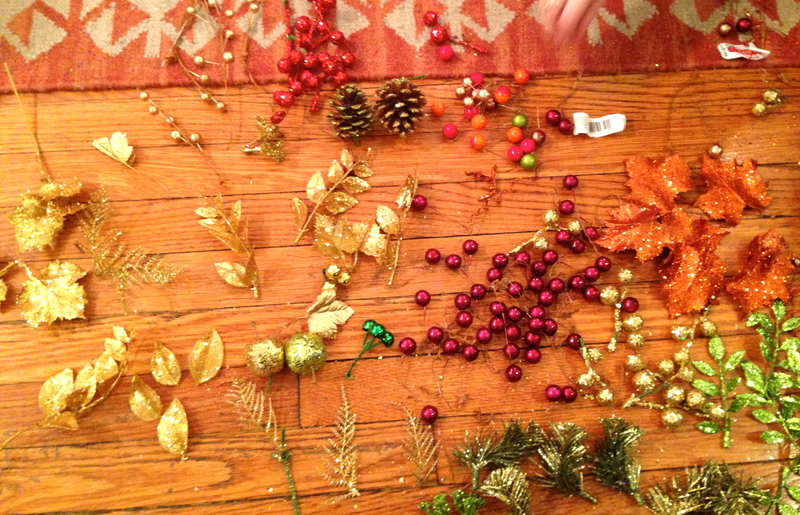 You should also buy an arrangement of glittery faux pinecones, sparkly leaves, and berries. They are sold in bouquets. 2. 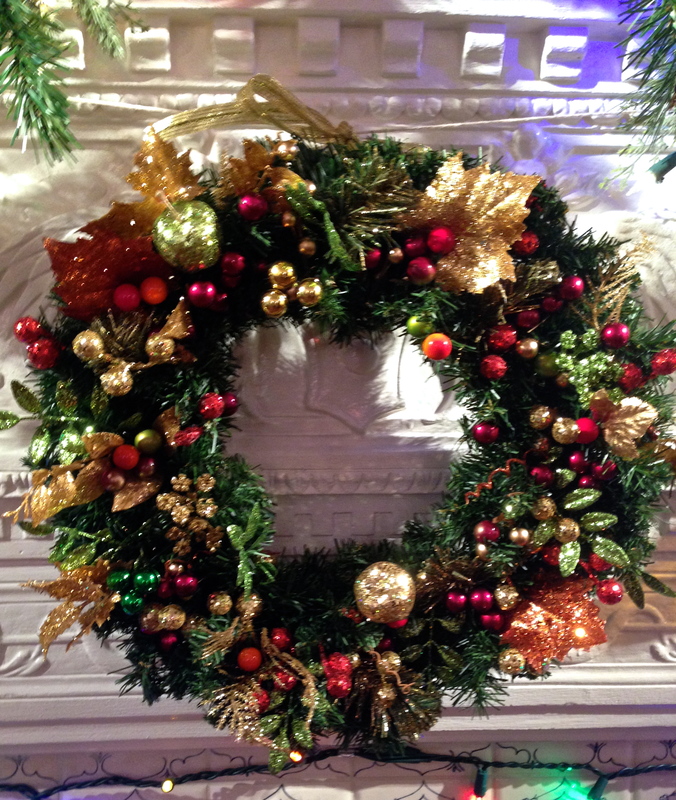 The wreath is constructed from wire covered in fake leaves. 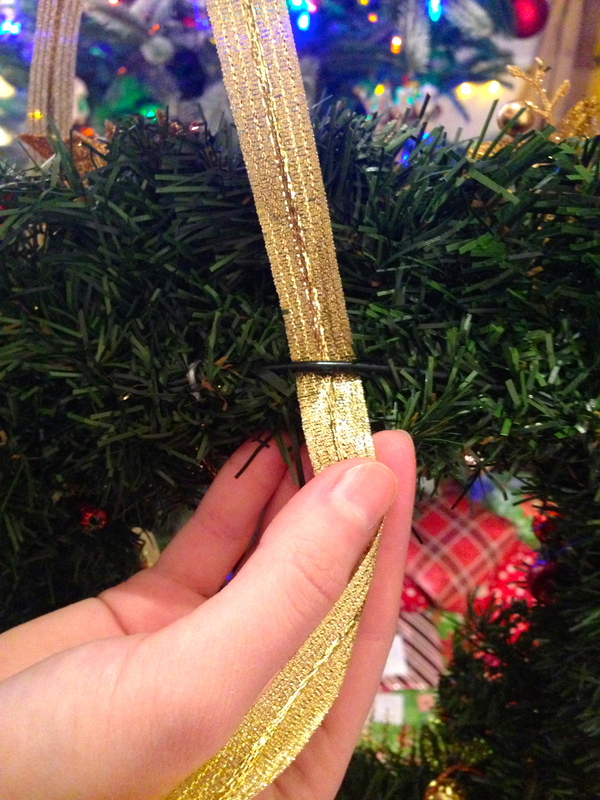 When you purchase the wreath, these wires will be tightly folded. Separate them by pushing them in different directions (some towards the center, some towards the outside). 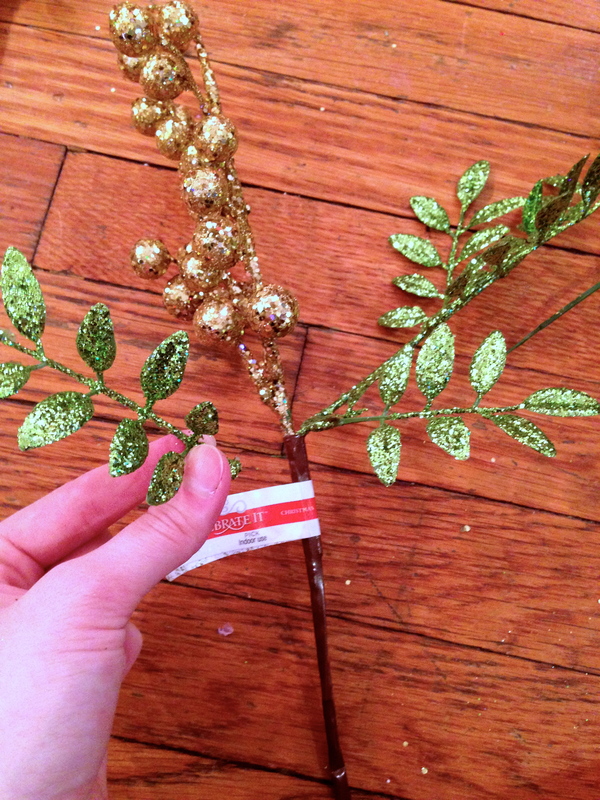 This will create the illusion of a larger, more natural wreath. 3. 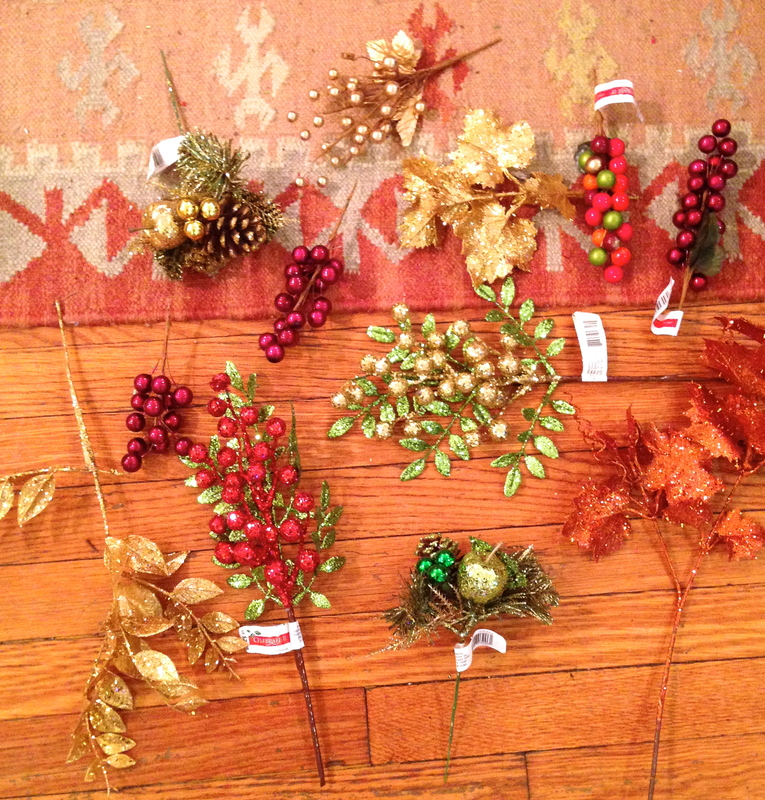 Take each bouquet and separate the pinecones, leaves, and berries into individual stems, or small groups of stems. You will be left with lots of individual berries with long wire stems. Some leaves may have very short, plastic stems. 5. 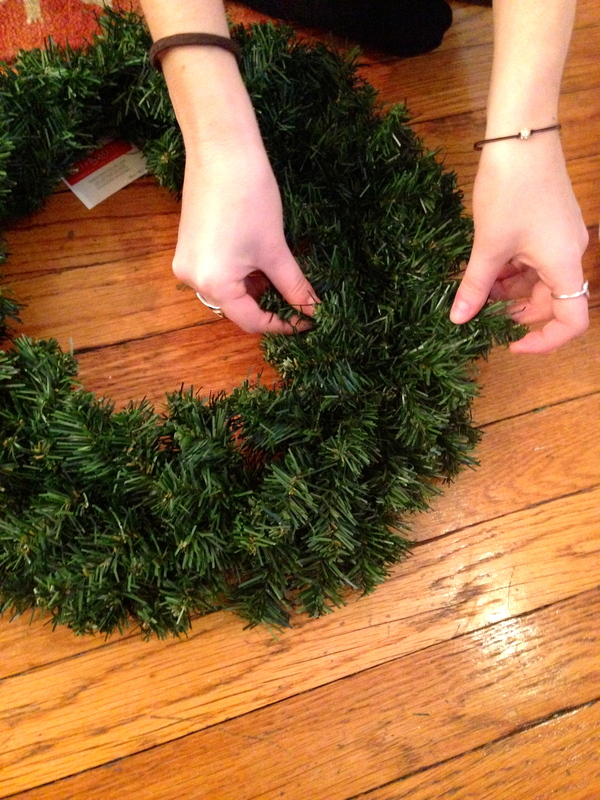 Lastly, you will need to hang your wreath. On the back of your wreath is the thick wire base. I found some gold ribbon and slid it through this wire frame. 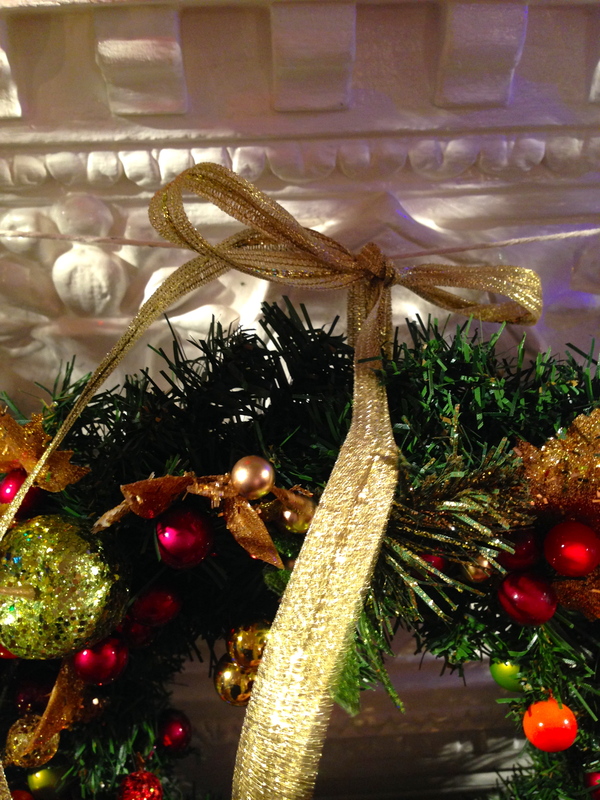 Place your wreath at the desired height and tie a bow.